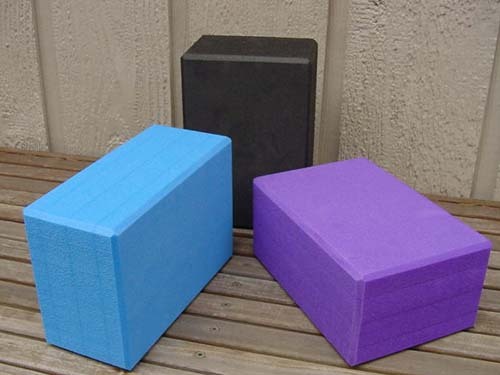 Lightweight, durable and easy to grip, these eco-friendly foam blocks add stability and length to your postures. The Eco-block is made from the highest quality, non-toxic material with no chemical odor. An economical alternative to wood blocks. Good for travel. Be a supporter of the eco-movement. To make these blocks, no halocarbon gases (e.g. CFCs, HCFCs, HFCs) or volatile hydrocarbons (e.g. pentane, isobutane) at any stage in the production of any of its polyolefin foams are used. Eco blocks are manufactured using a high pressure nitrogen gas process which produces a pure, chemically and biologically inert material.